Lost In The Warp: Fimir FTW! So we all have them. Those projects which seem never ending because we did enough to meet a basic gaming goal but are left with a few units/models/bits left in limbo. Since all this I had picked away at a couple more models but never really finished much of anything - which is a real shame considering that I spent nearly 3 YEARS collecting the pieces for this army!!!!! So as a part of my resolution to finish off old projects I have picked my fimir and zoats back up and dived right on in. 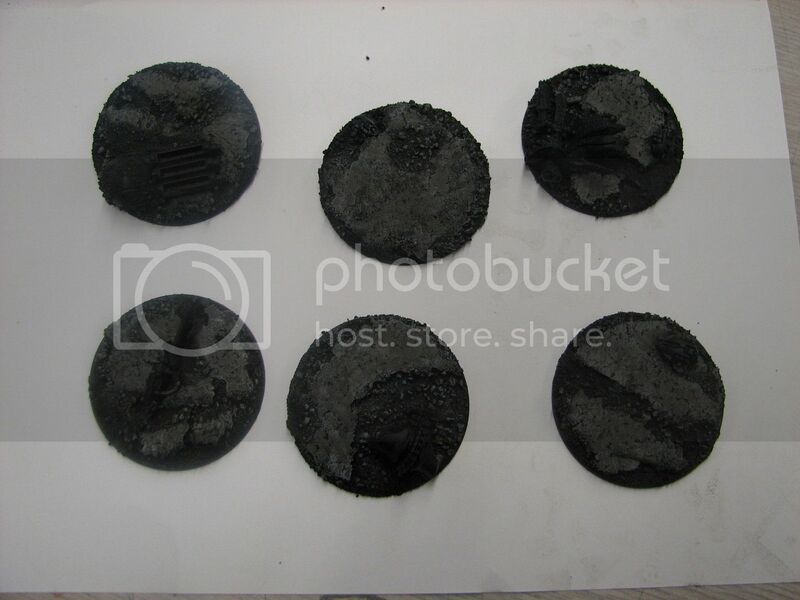 The first batch of fimir are pictured below and now bring my footslogger warriors up to 30. I have to touch up the bases a bit more but overall these fit nicely in with the previous ones. I think I have 10 or 15 more to go to finish off all that I have collected. The one on the far right was painted back with the original batch the rest are new - so I think the matching is pretty seamless! I have also started the bases for the remaining zoat destroyers, heavy destroyers and my second zoat destroyer lord. I still have a couple more destroyers and the lord that are wip as well as a set of the large metal fimir which are still in the bare metal stage. My intent had been to use these as wraiths for some variety - but in truth as they compete with my destroyers for a precious fast attack slot, they probably wont get used in anything other than Apocalypse! That being said there have been some additional rumours for the next necron codex which include more larger models being a part of the list. I will probably paint and base these in the meantime but am certainly holding out to see what the next incarnation will bring. On a final note, you may have noticed that I added WFB and 40k as new searchable labels for my posts. I will hopefully be able to go and backdate my older posts with these labels but you will have to be patient as it will take some time! 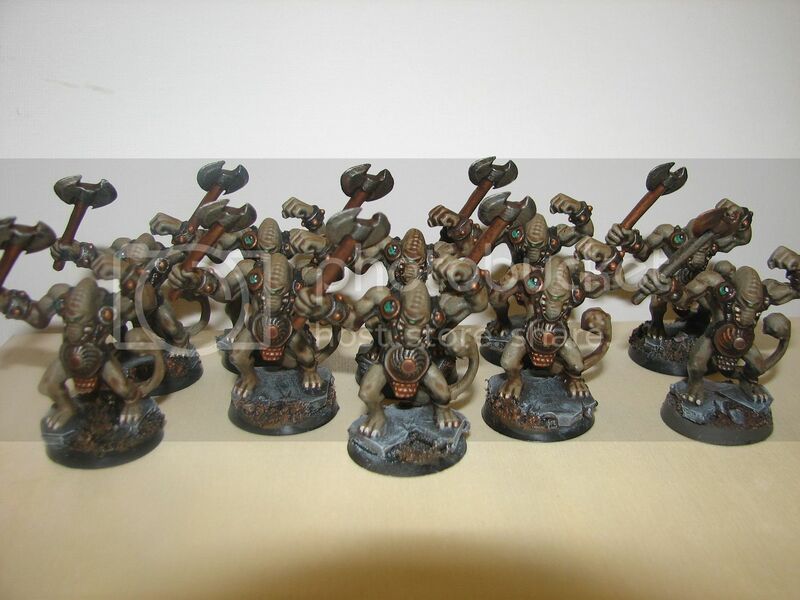 Just read the thread for development of the Zoat/Fimir army...really awesome...and a great use of some old minis!